Axon Lawyers – Misleading Advertising of Food Supplements – or not? Recently, the Rotterdam District Court decided a dispute between Omega Pharma and Procter & Gamble on allegedly misleading advertising of food supplements. The product in dispute was Vibovit, a multi vitamins product for mothers and young children marketed by Procter & Gamble (P&G) since January 2014. Although well-known for its consumer products such as detergents and toothbrushes, Procter & Gamble is a new player in the field of food supplements. Omega Pharma is a company focusing on OTC health and care products including food supplements, for instance Davitamon. It holds a market share of 61 % in volume and 65 % in value in this field. Omega Pharma clearly perceives Vibovit as a competing product for Davitamon. No doubt, clear scrutiny of the new competitor in the field of food supplements was the start of this case. In a nutshell, Omega Pharma accuses P&G of committing misleading advertising and unfair commercial practises regarding its Vibofit product and also of violation of legislation on health claim, food supplements and labeling. More concretely, Omega Pharma inter alia opposed (1) the claim that Vibofit did not contain any preserving agents, whereas it appeared from the list of ingredients that the product contained potassium sorbate. (2) Furthermore, Omega Pharma complained that the packaging of Vibofit stated it contained only natural colouring agents, as it did not agree that the colouring agents titanium dioxide and carbon dioxide qualified as such. (3) Also, Omega Pharma considered the claim “+Omega 3” mentioned on the Vibofit packaging was made in violation of the Claims Regulation. 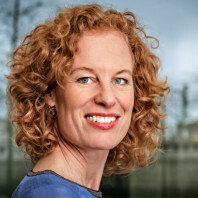 As a first preliminary defence, P&G had argued that Octapharma’s claim could not be received by the Civil Court, as Octapharma should have brought this claim before the Dutch self-regulatory body that advises on advertisements for health products (KOAG-KAG). This defence was rejected, as this self-regulatory body is only competent to hear disputes on health claims and not regarding any other claims in the field of food or advertising law. As a second preliminary defence, P&G had advanced that Omega Pharma’s claim actually related to unfair B2C commercial practices and that Omega Pharma could not invoke these rules (meaning their national implementation) against its competitor. This defence was also dismissed, as the Court considered that Omega Pharma was entiteld to invoke the rules on unfair commercial practises, being a lex specialis on the general law of the torts, against P&G. Although the parties agree that potassium sorbate can be used as preserving agent, P&G argues this is not the case at hand. Instead, it uses this compound as a processing agent for the preparation of the yellow colour of the Vibofit gummies. As a result of the carry-over principle, a mimimum quantity of potassium sorbate is present in the final product. However, since this quantity is only 0,00005 %, which is 2.000 times too weak to be able to function as s preserving agent, the Court accepts this defence. As a consequence, the claim “free of preserving agents” is not considered misleading. Omega pharma opposes the claims “100 % natural colouring agents” and “no artificial colouring agents”, as it considers that both titanium dioxide and carbon dioxide qualify as synthetic instead of natural colouring agents. Since the Food Additives Regulation does not make a distinction between natural and synthetic colouring agents, P&G relies on evidence from two national authorities to refute Omega Pharma’s claim. The first piece of evidence is a list of additives issued by the Dutch Food Safety Authority (Nederlandse Voedsel en Waren Autoriteit – NVWA) based on their qualification by the Dutch Nutrition Center (Voedingscentrum). This authority qualifies titanium dioxide (E171) and carbon dioxide (E172) as “natural”, as opposed to “synthetic” and “of natural origin, chemically processed”. The second piece of evidence is an NVWA fact sheet from which is follows that the colouring agents E171 and E172 are not considered synthetic. A consumer survey initiated by Omega Pharma investigating the misleading character of the claims used by P&G was considered not relevant, inter alia because it did not outweigh the opinion of the two Dutch national authorities and it was not considered completely neutral. As a consequence, P&G’s claims were not considered misleading. The notion + Omega 3 relates to the nutrition claim “source of Omega-3 fatty acids”. According the Health Claim Regulation, this claim is only allowed where the minimum quantities of 0,3 g ALA or 0,40 mg of the sum of EPA and DHA are met. One Vibofit gummy contains 2,5 mg Omega 3. As the packaging does not differ amongst ALA, EPA or DHA, it is not clear if the applicable standards are met. P&G however argues that it received prior approval from the self-regulatory body KOAG/KAG regarding its Omega 3-claims. Such approval has such authority that in those cases the Dutch Food Safety Authority usually does not apply any fines. In this particular case however, KOAG/KAG changed its policy after said prior approval was granted. According to the new policy, ingredients claims will only be allowed in as far as no existing health or nutrition claim is in place. Although P&G was not happy with this change, it nevertheless removed the Omega 3 claims from the Vibovit packaging and showed the galley proofs during the hearing. As a consequence, the Court considered that Omega Pharma no longer has sufficient interest re. its claim directed at Omega 3. From the correspondence exchanged between the parties and reproduced in the judgement, it appears that P&G did not simply dismiss Omega Pharma’s claim but had meticulously prepared this case. Where it estimated that its claims would not hold, it had decided to move and to do so quickly. This is of course a very strategic approach, which quite often is successful to avoid litigation. However Omega Pharma simply decided to go after its new competitor. What is most striking in this case from an EU perspective, is the role of national authorities and national customs formulated by self-regulatory bodies. The prior approval from KOAG/KAG with respect to an ingredients claim for the food supplement Vibovit carried an enormous weight in the present dispute. Also, interpretations of national authorities of European food additives standards proved to be a decisive factor in this case. Therefore, when preparing a case of misleading advertising involving labelling and health and nutrition claims, carefully consider where to initiate it in view of those local customs.